Some products exhibit dramatic sales spikes and valleys, reflecting unstable consumer demand. The call for honey doesn’t follow a similar pattern; the substance seldom falls out of favor with consumers. The global honey market is divided into distinct zones. And while the Asia Pacific region is slated to maintain a strong honey position in the coming years; Europe, North America, and other parts of the world are also expected to do well as the honey market expands through 2023. Asia’s increased manufacturing volume and developing honey intake put the region in a position to dominate growth within the honey market in the next five years, but sales across the “rest of the world”, places such as the Middle East, Latin America, and Africa are also projected to experience a compound annual growth rate of more then 7% during the period. With growth on the horizon, contract packaging companies are experiencing an increased call for creative honey packaging solutions. A 2018 study analyzed honey market trends, evaluating information by honey type, application, packaging, and region. The research results paint a positive picture, indicating a strong five-year future for the honey industry. According to the Market Research Future findings, the honey market is expected to expand at a compound adjusted growth rate of 7.22% through 2023. In addition to uses within food and beverage industries, honey has widespread applications outside food and drink markets. For example, personal care products and the pharmaceutical sector are driving increases in demand for honey. Harvesting of a greater number of honey varieties is helping producers keep up with the new demand and the trend is also expanding profitability within the honey market. Like many other consumer-driven industries, it is thought personal preferences and evolving tastes among honey users will be the definitive factors guiding the industry for the next five years. In addition to familiar varieties such as clover, buckwheat, wildflower, alfalfa, and acacia, buyers are paying attention to the potential health and wellness benefits of Leptospermum honey, commonly known as Manuka honey. 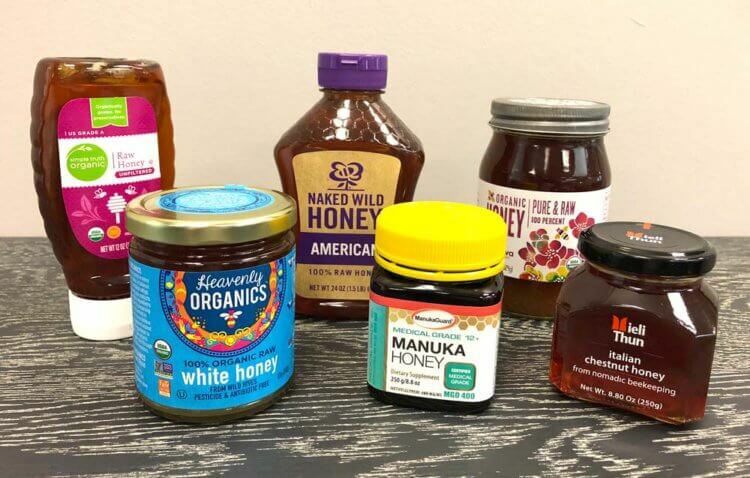 Packagers are responding to demand for specialty honeys such as Manuka, and conditions point to ongoing honey packaging opportunities for contract companies that are familiar with the benefits of these unique honey products. Much like the growth once experienced within the supplements market and the surging sales of protein powders, consumers increasingly embrace honey for its perceived health benefits. It has long been known honey has antibacterial qualities, but health-conscious shoppers are now focused on particular benefits of specific varieties. Honey’s health benefits are tied to the type of honey used and the time and location of its harvest. One healthy variety, Manuka honey, is getting a lot of attention from producers, packagers, distributors, and end users. The unique substance comes from New Zealand, where it is produced by natural pollinators of the native Manuka bush. Whereas most honey naturally produces Hydrogen Peroxide, one source of its antibiotic properties, Manuka also possesses additional qualities that contribute to its antibacterial effects. MG, or methylglyoxal is found in most honey, but only in relatively small quantities. The nectar of the Manuka flower causes the amount of MG to be elevated in Manuka honey, so the benefits of the compound are thought to be more pronounced in this type of honey. Because its benefits vary, producers have imposed a scale on Manuka honey, rating its potency. The Unique Manuka Factor is thought to account for the various compounds contributing to Manuka’s unique properties, scoring each sample with a number. The UMF rating theoretically identifies the strength of the Manuka being sold, but it is not a scientific ratings system. Honey that scores above 10 on the UMF scale is considered Active Manuka Honey, also called UMF Manuka Honey. Health and wellness benefits not only boost sales of food and beverages containing Manuka and other types of specialty honey, but healthful honeys also helps drive sales in personal care and pharmacy. For contract packagers, that means honey packaging opportunities are not limited to a single style of container. On the contrary, producers incorporating honey into their products bring the goods to market in jars, bottles, tubs, tubes, and other creative package designs. Honey isn’t a new product, but creative packaging companies are reshaping the market with a flood of forward-looking package designs. One example places a glass jar of honey inside a frosted paper structure, designed to resemble a milk carton. The shape of the carton associates the contents with agriculture, yet the arty frosted material gives buyers a sense of anticipation for the traditional jar inside. Incorporating wood into honey package designs is another accessible way makers add a natural element, appealing to health-minded shoppers. Glass jars and bottles are expected to capture much of the growth through 2023, but even traditional containers offer customization opportunities. Committed to the repeating shape seen in beehives, Hexagon Honey sells its natural honey in hex-shaped bottles that are packed and stacked in crates to maximize the effect. And True Honey Co. uses packaging graphics to reinforce the authenticity of its branded Manuka products. These are only a few of the packagers have elevated honey designs to focus on unique varieties and get attention from consumers seeking premium honey alternatives. Consumer preferences and evolving demographics continue driving growth in the global honey industry. Organic offerings lead the way, boosting the overall honey category. Not surprisingly, plastic bottles are widely used for honey packaging and the trend will continue. However, increased competition and discerning customers are prompting producers and their packaging partners to look beyond pedestrian honey packaging solutions. Jugs, tubs, and the classic honey bear may be underperforming, compared to plastic bottles, but premium honey producers are also turning to non-traditional designs in order to add exclusivity and marketing value to their packaging. Honey sales are strong, due in part to buyers’ belief certain varieties have medicinal properties. Honey’s antibacterial features are documented, and some types, such as Manuka, may possess additional healing qualities. Recent research about honey shows demand for diversity is drawing consumers to explore unfamiliar honey varieties and embrace products made with honey. Contract packagers are in turn finding new ways to protect and present honey goods, in food, beverage, personal care, and wellness markets. If you’re looking to explore options in honey packaging or have a product ready for market, please use the request quote button on this page. One of our sales professionals will get in touch with you immediately.